Duke point guard Tre Jones is expected to miss his team’s matchup with Pitt at the Petersen Events Center on Tuesday night, and although a definitive decision on his status has yet to be reached, Duke head coach Mike Krzyzewski did not sound optimistic when talking about him potentially playing. “He’s not going to play unless something miraculous happens,” Krzyzewski said during a press conference on Monday. 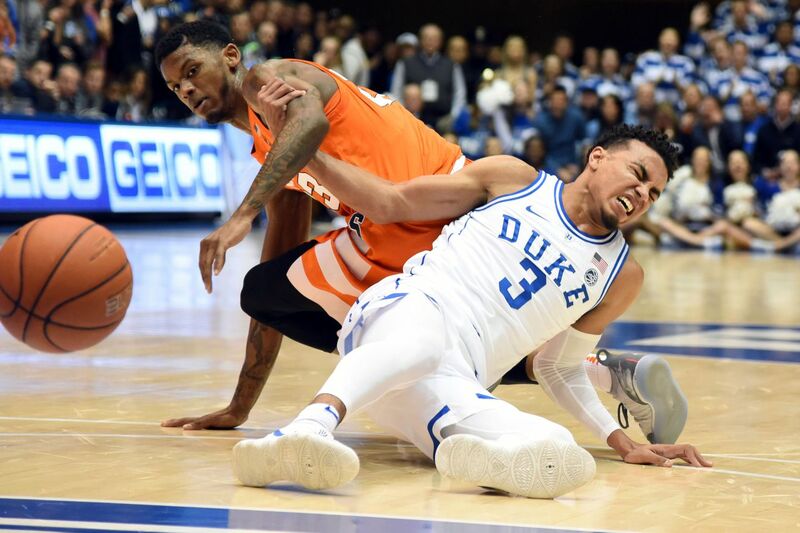 The former five-star point guard was injured during Duke’s 95-91 overtime loss to Syracuse on Jan. 14, when he collided with Orange point guard Frank Howard. He left the game in the first half after chasing down a loose ball for his fourth steal of the game. Jones leads the Blue Devils in assists and steals this season, as he’s averaged 5.7 and 2.1 per game, respectively. So it isn’t a stretch to describe him as a foundational element of one of the top teams in the country, and his importance can’t be overstated, even on a team as talent-laden as Duke. If Jones does miss Tuesday’s game, it will be his second in a row, as he sat out during Duke’s 72-70 win over Virginia on Saturday. The Blue Devils clearly missed Jones, as they found themselves in a close one with the Cavaliers. However, they ultimately had the depth necessary to overcome his absence. One potential advantage for Pitt as the team heads into the primetime game as a 12.5-point underdog is that Capel and his players have had an opportunity to observe Duke in action without its star guard and make any necessary adjustments. But the Panthers will still have to face R.J. Barrett and Zion Williamson, both of whom present more issues than Jones. The Panthers will also be playing before a sellout crowd of 12,508 on their home court, but if all this is sounding familiar, it’s because a packed house and the absence of a key opposing player didn’t save Pitt in its ACC opener against a North Carolina team missing power forward Sterling Manley. The conference rivals are set to face off at the Petersen Events Center at 9 p.m. ET in a game that will be broadcast nationally on ESPN.